only for a glimpse of you." 'Warm Delinquencies' is a debut poetry collection that explores the matters of the heart. This book is for everyone who has loved and lost, and for the ones struggling and hoping for a brighter dawn. Sunaina is a twenty-something writer from India who writes poetry, short stories, and contemporary fiction. Her writing explores the realms of vulnerability, loss, healing, and self-love. 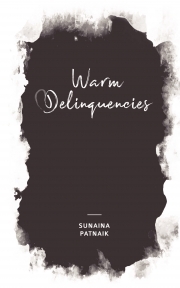 'Warm Delinquencies' is her debut collection of poetry and writing that deals with the matters of the heart. Currently, she is working on her second writing project. You can also catch up with her life on Instagram at @sunainapatnaik.